>    The Linux desktop is about to get a 3-D makeover courtesy of Novell. >    Linux and UNIX windowing infrastructures, X.org. >    principal graphics chips vendors, Intel, ATI and Nvidia. >    architecture layered on top of OpenGL. >    that include improved 3-D capabilities and more fluid "fancy"
>    desktop animations and transitions. environment already although it was experimental at the time. wrote 3-D OpenGL programs for Linux (see sig.). the notion of the polygon. 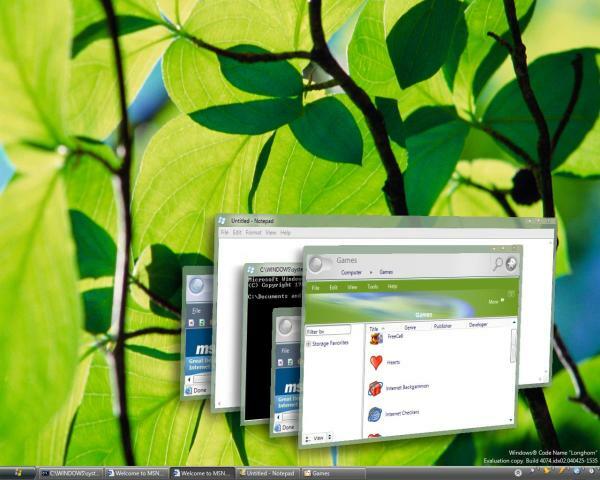 switcher which displays a preview of windows." know, what Longhorn drafts promised is not what Vista will deliver.